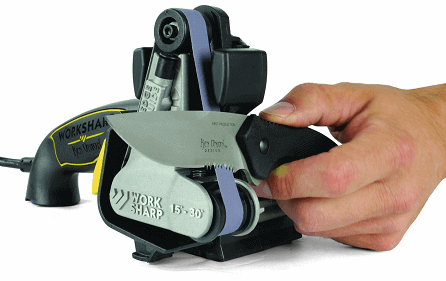 Work sharp WSKTS-KO knife and tool sharpener can sharpen your all kitchen knives and other tools very carefully. 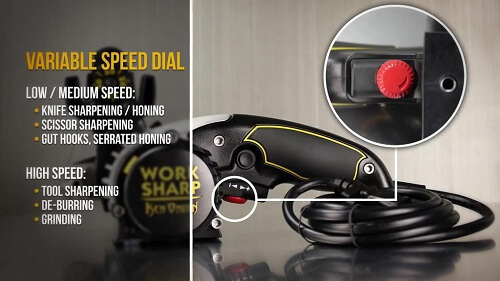 This knife and tool sharpener sharpens your tools in effortless way. It is a different innovation by the company. It is available in the world market with these great features. Quick-lock belt system for quick belt changes. 3/4” x 12” flexible abrasive belts. Allowed to sharp your tools from any angle. Can easily restore your favorite Scissors to new Scissors. 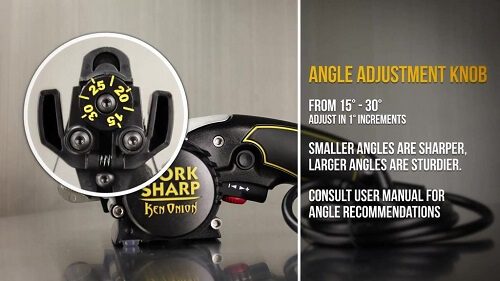 The sharpen angle starts from 15 degree to 13 degree. It ensures a consistent angle for every time. Always follows precision sharpening guide. Wide range of speed regulators which works from slow to high speed. Cooling option for this tool sharpener. Eequipped with a high powerful electric motor. Easy to carried one place to another. The weight of this tool sharpener is 4.20 pounds. The part number of this tool is: WSKTS-KO. It supports the speed range from 1200 SFM to 2800 SFM. ​Grit Belt Size of ½” x 12”. It helps to adjust this from 1 degree to 30 degrees. It can provide you a great precision. Made of Polymer and cast metal. The measurement of this item is 5.5 x 10 x 6 inches. This tool sharpener is made in USA. Bulletless costly tool compared with others. sharpen Scissors and knives by a blade. Don’t need any technical experience to operate this sharpener. It has module with multi position. Make scratch to your expensive cutlery. Create problems at the heel of the blades. People buy Work Sharp Knife and Tool Sharpener amazing tool as investment. You can also buy this for your future purposes. According to the review of potential customers, it is a very useful thing for your home and outside. It has the ability to provide you a long lasting edge. Now it is your decision to purchase this from the reliable source. This is the high time to bring this for your home and outside. 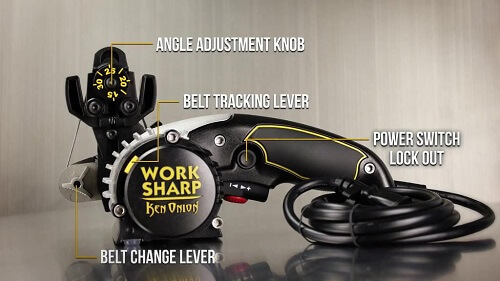 Work sharp ken onion edition is the best for it’s abrasive best. Which keep the razor blade safe. I know that very well, Adriana. Thanks for your concern. This is an electric knife sharpener but it’s abrasive belt system make it great. Hi, Foakleys. That doesn’t mean that all electric knife sharpeners are bad without word sharp. Work sharp ken onion version is the best sharpener for any knives but you can use both types of sharpener. Thanks. here. Your blog deserves to go viral. Thank you for staying with us, Isabelle. I hope so. Can I sharpen it without electricity? No you can’t. But it’s abrasive belt that can sharpen your knife easily. Is their any possibility to loose the edge of a knife? No because abrasive belt doesn’t loose the knife edge. This is the main difference from others. Also safe for all kinds of knives.